I stopped reading another great book when I read the review of this book. Within pages I was hooked! 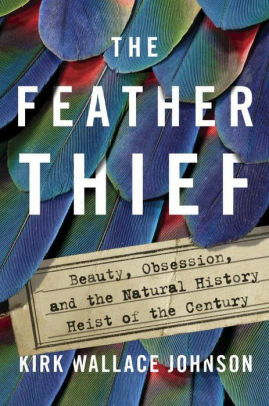 A captivating true crime story of an unlikely thief (a 20 year old, American concert flute player) and his even more unlikely crime (breaking into the Tring Museum –home to the largest and oldest ornithological collections in the world) in 2010 in London. The author is relentless in his pursuit of the facts, the thief(s), and the appalling greed for our natural treasures. I can’t stop thinking about it. Put this title on hold at the library! 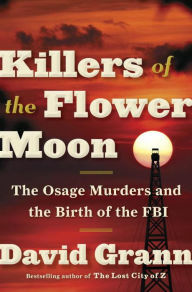 This engaging work of nonfiction is a twisting, haunting true-life murder mystery about one of the most monstrous crimes in American history that took place in 1920s Oklahoma, targeting the wealthy Osage community. His previous book is The Lost City of Z: a Tale of Deadly Obsession in the Amazon.